When I found bed bugs in my bed I was shocked that I somehow got them, and shocked at how hard they were to kill, I spent weeks washing every piece of clothing, pillow cases and bed sheets that I had, even threw out all my pillows and bought new ones and a new bed. I tried several bed bug killing sprays and techniques but nothing worked. Eventually i found the bed bug barrier website and ordered. 2 days after applying it they were all gone and no more bites since! Having pets makes bed bug barrier a far safer option than sprays, it has no smell, easy to apply and will save you a fortune from getting an expert or having to buy new furniture. 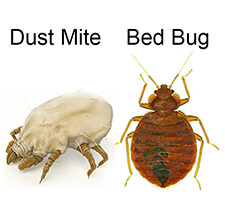 Overall the perfect solution to the nightmare of having bed bugs, especially bad cases of them.